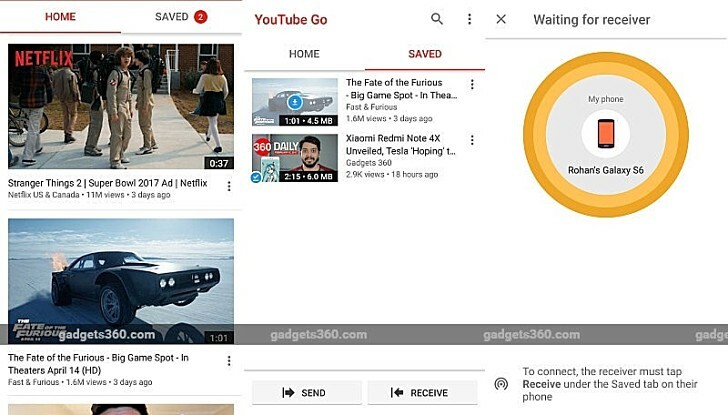 The YouTube Go app has arrived in India. You can get the beta version (no stable release for any market yet) of the app from Google Play in the Asian country. YouTube Go is trying to improve video watching experience in regions with comparatively slow internet. It's similar to the regular YouTube for Android app, except that it gives the option to download a video for offline viewing. The app only offers Basic and Standard viewing quality (144p and 360p) - no HD quality available. Its not quality but fulfillment which matters the most, especially when you are out of high-speed data. Works great for many! Well my sister really likes songs and this might be her gold but for me im a heavy youtube user so i woulspd like more quality for the teck reviews i watch and anime even if irs fine for me.